City of Lisburn Club News : City of Lisburn A.C. » Ulster Senior Championships. Saturday saw the Ulster Senior Championships take place at MPT. Conditions were certainly not as wet as last year but boy was it windy! There were lots of CoLAC athletes in action and loads of medals won in club colours. 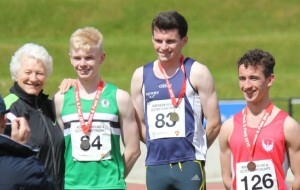 First on the track was Ciaran in the 400m hurdles where he was up against Timmy Crowe. He battled well into a very stiff wind down the back straight to cross the line 2nd but take the U18 title. In the 400m flat races we were well represented by Ryan and Sylvia Rose but Zoe was our top performer as the first U19 finisher. Over 5000m Chris Madden placed 5th while in the 800m we had Kelly Neely who was just edged into second place in a very close finish in the Women’s race while TomB took the bronze in the U18 Men’s race. Then we got to the short stuff! 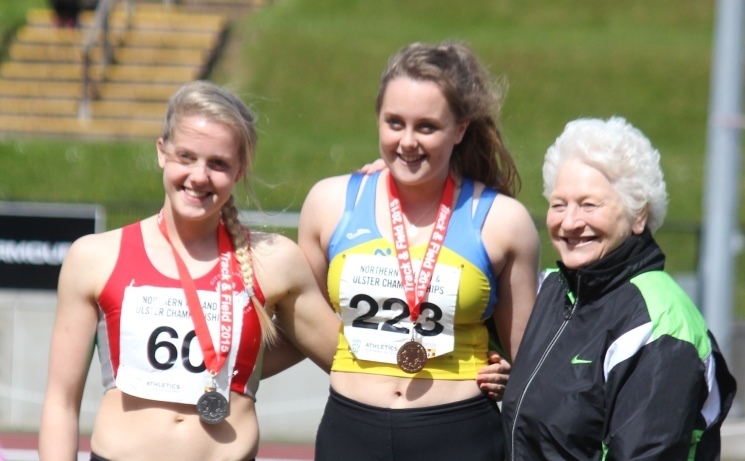 Roseanna dominated the women’s sprints lifting Gold in both the 100m and 200m. Christian repeated that feat in the men’s events with PBs (100m 10.71s and 200m 22.09s) in both races. 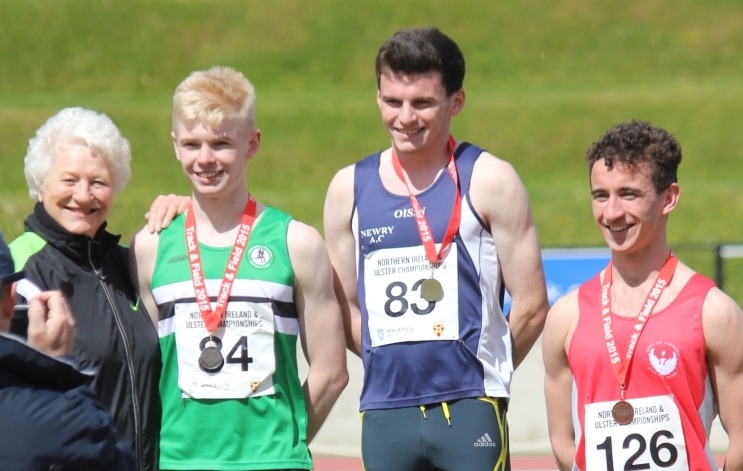 In the 100m he was followed home by BenF in 3rd (10.90s), Gareth in 4th (10.91s) with all 3 taking gold in their age group as well as Christian and Ben’s medals in the Senior event though the times were assisted by a 2.5m/s wind. ConorG placed 3rd in the U18 age group. In the 200m, which was run into a slight headwind, Christian was followed home by Karl in 4th (2nd in U20) and Gareth in 5th (3rd in U19). In the hurdles Adam Hill was 3rd in the Senior event with Ben taking the U18 title. Ben was in action again in the Long Jump placing 2nd in the Senior competition and 1st in the U18 for his 3rd title of the day. Adam and Robbie finished 2nd and 3rd in the Men’s High Jump and Anna McIlmoyle and Phoebe took 1st and 2nd in the Senior Women’s competition with Cara winning the U19 event, a feat she repeated in the Long Jump. Karyn finished 4th in the Senior Long Jump with SarahW 2nd in the U18s. 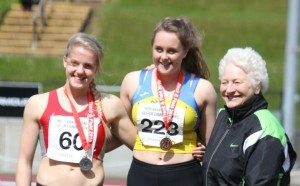 Sylvia Rose and SarahW took a silver each in the Senior and U18 Javelin respectively. KateF placed 3rd in the Senior Triple Jump but was the top U18 in the field. AlexL won the Men’s Pole Vault and in one of the most surprising results of the day Melanie Minshull placed 3rd in her debut in the Women’s event!!! Well done to all who competed in a great day of athletics.